The Winter season is one of the busiest for the Colón Theatre as it stages its regular productions and also special functions for children on holidays and cultured adults in search for a luxurious warm haven to escape the cold. 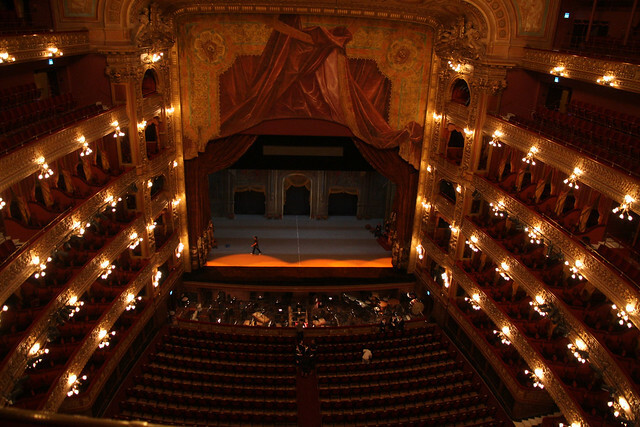 This winter, the renowned opera house is staging a ballet production of Alice in Wonderland with midday and afternoon performances, as well as an opera production of Othello, concerts by the Buenos Aires Philharmonic Orchestra, concerts by the Israel Philharmonic Orchestra and their usual free Sunday concerts. Additionally, there will also be features including Stravinsky Sky, a ballet production for children; piano concerts by Taka Kigawa of Eliott Carter’s compositions; and piano sonatas by Gerardo Gandini, all part of the theatre’s experimentation center. The full program can be found here and tickets can be bought in advance here.